Tata Harrier would be the next big thing coming from the Indian manufacturer. Tata has started taking bookings for the all-new Harrier and the deliveries would start in January 2019. However, Tata is currently offering only the 2.0-litre diesel engine with a 6-speed manual transmission set-up in the market. It was being widely speculated that Tata would also offer a 6-speed transmission sourced from Hyundai but this option will not be available at the time of the launch. According to a new report Tata is working on the automatic version of the Harrier and would launch the same in the mid-2019. Tata will use the same transmission that is also available with the Hyundai Tucson automatic. The 6-speed transmission will get powered by the 2.0-litre Multijet diesel engine that is already available with the vehicle. Tata is also working on a petrol version of the Harrier but the engine specifications are not known yet. Tata is expected to source the 1.4-litre turbocharged petrol engine that also powers the Jeep Compass in the Indian market. However, nothing has been announced officially yet. It is not known if the petrol version would come with an automatic transmission at the time of the launch. 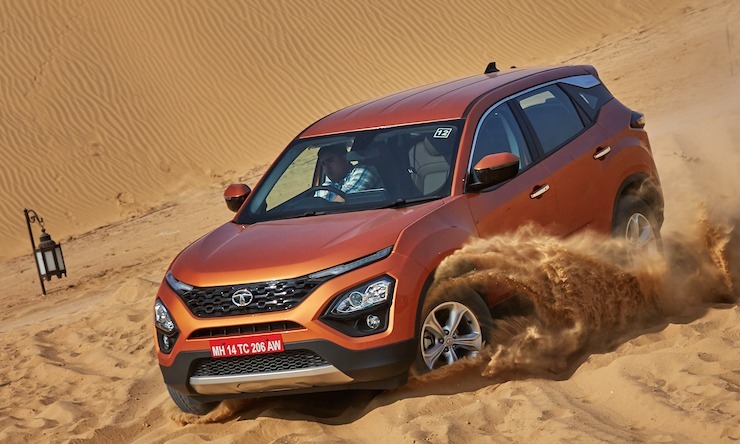 The 6-speed torque converter transmission sourced from Hyundai would be available only with the diesel Harrier. The petrol version of the SUV may come with a different automatic transmission. Even with the 6-speed automatic transmission, the FWD layout will remain similar. Tata is not expected to launch an AWD system for the Harrier anytime soon as an official quoted that the total sales of 4X4 variants are less than 3%. Instead, Tata has developed a Terrain Response System for the Harrier and has equipped it with a long list of features that would come handy while doing off-road. Currently, Tata would be the only manufacturer that will offer an only manual transmission in the competition. A lot of prospective customers have expressed their displeasure over the non-availability of an automatic transmission with the Harrier at the time of the launch. 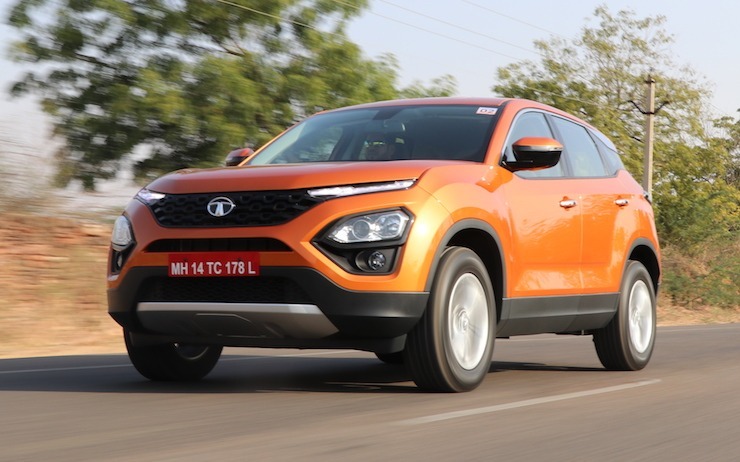 Earlier, it was being reported that the Harrier may even get the 9-speed transmission sourced from ZF transmissions but the idea was dropped as it would have made the Tata Harrier automatic extremely expensive. The 6-speed transmission from Hyundai will keep the price under check and will allow Tata to price their product aggressively in the Indian market. The all-new Harrier will also get an extended version with three-row seats. The extended version of the Harrier is internally known as the H7X and would look significantly different from the Harrier. However, mechanically, both the vehicles will remain similar to each other. The addition of an automatic transmission would increase the price of the vehicle by around Rs. 70,000. Meanwhile, the 7 seat version of the Harrier is expected to arrive a year later. We expect an early 2020 launch for the larger SUV. While it will sit above the Harrier, it’s expected to be priced at under Rs. 20 lakhs. « Mahindra Alturas SUV’s off road ready avatar, rendered!